You want to join a a Bowling League, congratulations! 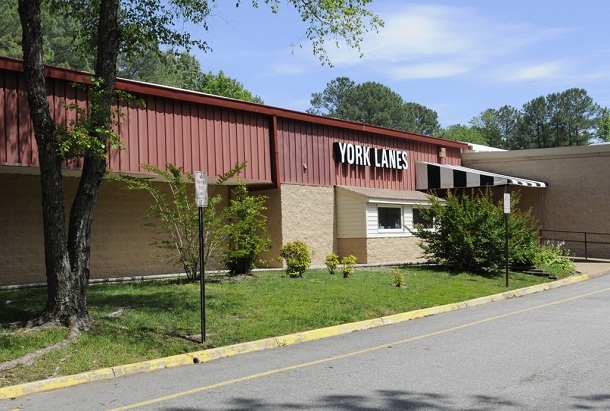 But you don’t know what a bowling league about, well, let us tell you about the Virginia Peninsula USBC Bowling Association and how we support organized bowling. First what is that USBC in the middle? The United States Bowling Congress is the national governing body of organized bowling in the United States. United States Bowling Congress is an membership organization that provides standardized rules, regulations and benefits to make bowling fair and fun for everyone. It was formed in 2005 by a merger of the American Bowling Congress, Women’s International Bowling Congress, Young American Bowling Alliance, and USA Bowling. The USBC’s headquarters are located in Arlington, Texas. 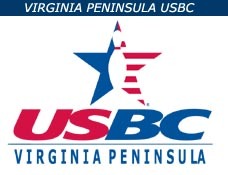 The Virginia State USBC organizes tournaments at the State level, holds a yearly Fall Workshop for Association delegates, the State has a structure similar to the local associations. The Virginia Peninsula USBC Bowling Association is organized bowling on the local level, made up of many of your friends and co-workers. They are the people you see weekly in your local centers enjoying fellowship, competition and just a fun night out with friends and family. Maybe your first introduction to leagues was the time you and friends went into a center and were told there would be a wait till leagues end to get a lane. The Virginia Peninsula USBC Bowling Association is a non-profit organization, we have an elected President, 3 Vice Presidents and 12 Directors, 4 Youth Directors and Association Manager who runs the daily operations. The VPUSBC provides the local sanctioned bowlers with annual tournaments, the Open Championship held in early Spring, The Women’s Championship , the Youth Championship both held in mid to late February and the Seniors Championship held in November of each year, plus an awards banquet each year to honor our bowlers who have excelled during the following year. The VPUSBC also has an Awards Program to reward our local bowlers achievements and we have a Scholarship fund set up for our Youth. The VPUSBC also supports Bowl for the Cure and Bowlers to Veterans Link. The Bowlers to Veterans Link is a nonprofit charitable organization which raises over $1 million annually to fund a variety of recreational equipment and therapeutic supplies for America’s Veterans. Ok this is all great but what is a league and how do I join? Well that’s an easy question, What Is a League…. It’s just a group of people who enjoy the Sport of Tenpins and once a week get together to bowl. Leagues are formed in late Summer or Spring of each year, Fall / Winter leagues which can run from 28 weeks to 34 weeks and Summer leagues that run 10 to 12 weeks. Well once you bowl on a league, get to know the people, enjoy the fun and competitive nature, you’ll get addicted, there’s something mystical about rolling a bowling ball at 10 pins 60 feet away and knocking them down. Late summer our Bowling Centers have a League Sign up sheet where you can add your name to the league of your choice, this would be the day and time most convenient for you and your team to bowl, you do have a team right? Leagues can be men, women or mixed, we have seniors, youth leagues and a high school league, We have scratch leagues and handicap leagues where you are given a number of pins handicap dependent on your average. There are leagues for Doubles (two person team), Trios (3 persons), most leagues are 4 person mixed meaning men and women all bowl together, then there are a few 5 man leagues. We have leagues during the day, evening and even second shift leagues which start at 9 or 9:30PM in some centers. When you sign up for a league you will be notified of the date and time of the organization meeting, this is where the league rules will be read and approved or amended if needed, weekly fees will be addressed, start time, the center rep from the association will address the meeting to announce and rule changes from the USBC note the coming schedule for events. The association center rep will also address the sanction fees. What do I get for this money, the sanction fees? Let’s start with the United States Bowling Congress. The USBC is charged with maintaining the rules and regulations of the Sport of Bowling. As the National Governing Body for bowling, we are responsible for protecting the games integrity by governing and maintaining the rules and specifications for the game. • We provide uniform rules for competition, a certified average and meaningful national performance comparisons. • We provide every certified league bonding insurance for the protection of your league prize funds. • We provide the best run tournament opportunities including the Open Championships, the Women’s Championships, Junior Gold Championships, Youth Open Championships, the Youth Pepsi Championships, the Queens and Senior Queens, the Masters and Sr. Masters, Team USA Trials, Xbowling.com Collegiate Team/Singles and many more. • USBC sponsored scholarships and the SMART scholarship program..
• Youth programs like Jr. Gold and Collegiate. • We ensure the safe of our youth with the Registered Volunteer Program (RVP) which provides background checks and is mandatory for all certified coaches. • The Bowling Foundation organizes bowlers to raise millions of dollars each year for charities such as Susan G. Komen, Bowlers to Veterans and Special Olympics. • We sponsor and manage Team USA and Junior Team USA. • We offer our members terrific affinity programs (AARP, Nationwide, Mutual of Omaha, Motel-6, T-Mobile, and many, many more) thru our Member Rewards program on BOWL.com/member rewards. • Bowl.com (the number one website for bowling) which is filled with tips, dozens of free live bowling events, access to league and tournament information as well as bowler histories, interesting information from around the game of bowling, etc..
• We certify the countries coaches and offer members tips for improvements thru many forms of media including bowl.com. • We provide Sport Bowling leagues for those bowlers looking to compete in more challenging environment. • USBC does all we do with only $10 of your annual dues being sent to USBC National. I hope that you feel many or even all of the benefits listed above are beneficial. Bowling leagues have elected officers, usually a President, Vice President, Treasurer and Secretary, in some leagues the jobs of Treasurer and Secretary and combined into one. Stop by any local bowling center (see list below) ask at the counter about joining a league or while in a center you see a league bowling ask one of the bowlers to introduce you to one of the league officers. We would enjoy you bowling with us…. This entry was posted in VPUSBC on October 31, 2013 by Virginia Peninsula USBC. The 17th annual Virgi nia Peninsula USBC Bowling Association Seniors Championship Tournament will be held on the weekends of November 16 & 17 and 23 & 24, 2013 with available squad times of 1:00 PM and 3:30 PM each Day. For the 1st time the Association will conduct a 4 person team event in the Seniors Tournament . Bowlers may participate on more than one team; however, no more than two of the same bowlers may bowl on a new team. If a bowler participates in more than one team event, the bowler’s scores for the first appearance will count toward his / her All Events total. Bowlers entering in the doubles event must also enter in the singles event. Likewise, all singles event entrants must also bowl in the doubles event. A bowler is not eligible to enter or compete more than once in the doubles and singles events. Bowlers may participate on more than one team; however, no more than two of the same bowlers may bowl on a new team. If a bowler participates in more than one team event, the bowler’s scores for the first appearance will count toward his/her All Events total. The Virginia Peninsula (USBC) Bowling Association offers our Bowlers tournaments throughout the Fall / Winter Season, the Seniors Combined Tournament, for our Bowlers 50 years of age and older, the Women’s Tournament is to challenge our Ladies and give them the chance to perform against other ladies of the Association and the Open Tournament is available for all our bowlers with several divisions to give equal chance to all who participate. We encourage all of our bowlers to enter; To be challenged, Compete against other Association bowlers, there are no losers, this is where the bowling ball meets the pins and each pin counts. This entry was posted in Tournaments on October 1, 2013 by Virginia Peninsula USBC.